Margo Garden Products Pottery Collection is produced by the most skilled artisans in the industry with years of experience creating customized handmade pottery. All pottery comes from one location and all pieces work as a single focal point or as part of a collection. 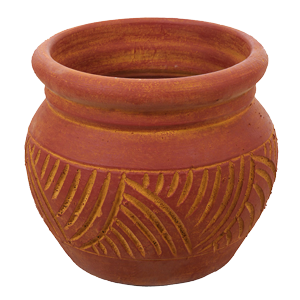 This handmade Large Clay Tamboril Planter is ready for your planting. All pottery comes from one location and all pieces work as a single focal point or as part of a collection.